Since becoming a full-time medical school faculty member again, I've volunteered to interview about two applicants each month from September through March. When I first started doing this, I was surprised that the admissions office did not provide me with a copy of the applicant's resume and essay until the time of the interview, carried in a manila folder by the applicant. But I quickly realized that it wasn't necessary to receive this paperwork in advance; reading it afterwards added very little to the sense of the applicant's personal qualities that I got from talking with him or her for half an hour or less. The overwhelming majority of personal statements are excruciatingly boring. It seems that our standardization of the medical school curriculum has led to a generation of physicians who feel the need to be standardized people as well, even when making statements that are by their very title intended to be personal. [Good personal statements] demonstrate a feature that is still key to being a doctor: humanity. How else are we to know about this side of our candidates if not for their personal statements? It isn't just medical school and residency curricula that are being standardized. So is clinical practice, via the transformation of guidelines (emphasis on "guide") into performance measures that can be extracted from electronic medical records, if physicians are trained to standardize their office notes in EMR-friendly ways. At my practice, we always collaborate with patients about treatment plans (even if only one option makes any sense); we always examine at least 10 organ systems during a moderately complex initial visit (even if there's no reason to examine most of those regions); we always provide voluminous patient education handouts (desired or not); and we always, always, ask about tobacco use and document counseling smokers to quit (even if the patient has expressed no interest in doing so). Perhaps these electronic exercises collectively known as "meaningful use" will someday improve care and outcomes. Until then, I know it's only a matter of time before I read a personal essay from an earnest medical school applicant who once aspired to be a professional coder but decided he could have his nonsensical documentation requirements and treat patients, too. Providing preventive services is a core responsibility of family physicians, and, consequently, American Family Physician devotes many pages to keeping readers up-to-date with the latest studies and recommendations on breast cancer screening. There has been much news of note in the past few years, beginning with the U.S. Preventive Services Task Force's 2009 statement that clinicians should engage women in shared decision-making discussions about the relative benefits and harms of beginning screening mammography before age 50, and perform screening only every other year. Other groups, such as the American College of Obstetricians and Gynecologists, recommend annual mammography starting at age 40. As reviewed in a recent article, the conflicting USPSTF and ACOG guidelines agree that mammography appears to lower breast cancer mortality, but dispute how to value the harms: false positive results, anxiety, biopsies, overdiagnosis, and unnecessary treatment. To further complicate matters, as adjuvant therapies for breast cancer continue to improve, researchers have speculated (with some supporting data) that mammography may not be nearly as useful at preventing deaths from breast cancer today as it seemed to be a generation ago. But could the mortality benefit of mammography in younger women actually be as low as zero? That was the startling conclusion of the Canadian National Breast Screening Study, which published its 25-year follow-up report in BMJ earlier this month. Beginning in the early 1980s, this randomized trial evaluated the effect of 5 years of annual mammography in nearly 90,000 women between the ages of 40 and 59 and found no difference in breast cancer mortality between the intervention and control groups. (It's important to note that women age 50 and older in the control group received annual clinical breast examinations.) The study's findings also suggested that more than 1 in 5 breast cancers detected in the mammography group would not have become clinically evident during a patient's lifetime in the absence of screening. The American College of Radiology labeled the BMJ study "incredibly flawed and misleading" and advised that clinicians and patients disregard its findings. The Incidental Economist blogger Aaron Carroll countered that this study's well-documented limitations (e.g., older mammography technology) were no more disqualifying than those of other (even older) studies that found screening reduced breast cancer deaths: "If you’re not going to be swayed at all by a randomized controlled trial of 90,000 women with 25 year follow up, excellent compliance, and damn good methods, it might be time to consider that there’s really no study at all that will make you change your mind [about the effectiveness of screening mammography]." Researchers recently estimated that the total cost of mammography screening in the U.S. in 2010 was $7.8 billion, not including costs of missed work or subsequent treatments. If 85% of women between the ages of 40 and 85 were screened annually as recommended by ACOG, the cost would have been $10.1 billion. In contrast, if the same proportion of women adhered to USPSTF screening guidelines (biennial mammography between 50 and 74, with the option of starting earlier or ending later based on a woman's preferences and health status), the cost would have been $3.5 billion. Even though the Affordable Care Act requires insurers to pay for annual screening mammography in women over 40 without any out-of-pocket costs, are patients really getting their money's worth in improved health? 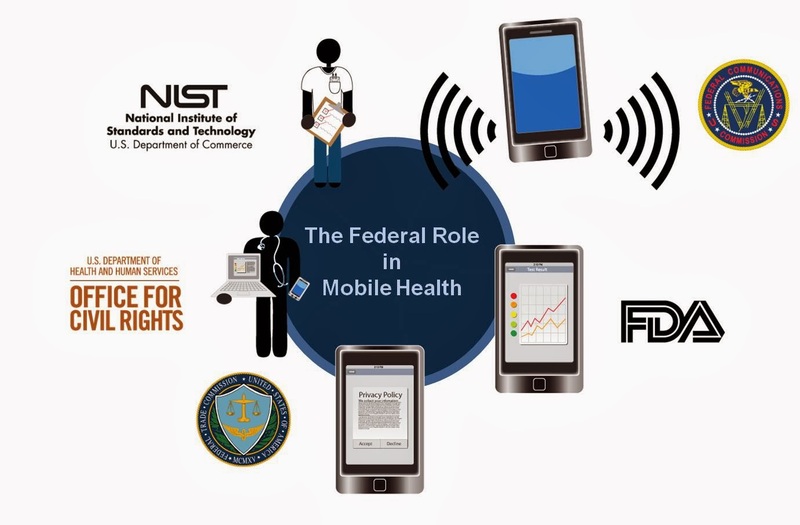 Mobile health, or "mHealth" for short, describes technology that allows clinicians or public health professionals to monitor and/or deliver health-related messages to patients via cellular phones, tablets, or other wireless devices. 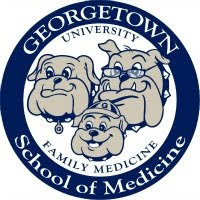 mHealth applications can complement and expand care provided at traditional face-to-face visits, and exploring their untapped potential to improve health in the U.S. and abroad was the topic of a recent Georgetown University Health Policy Seminar. One popular mHealth initiative is the text4baby program, a public-private partnership launched in 2010 that sends free text messages to expectant and new mothers containing appointment reminders, safety alerts, and general prenatal and postpartum health advice. Smartphone apps now include a variety of self-management tools for weight loss, physical activity, and chronic diseases such as hypertension and diabetes. The U.S. Food and Drug Administration recently moved to regulate health apps that act as medical devices (e.g., electrocardiogram) and would pose safety risks to patients if they malfunctioned. However, the vast majority of health apps used by consumers will not require FDA approval. Using phones to advance public health isn’t as simple as it seems. Researchers are grappling with complex questions that have already doomed hundreds of mHealth projects: How do you know whether mHealth projects are really working and worth the investment? How do you conquer the phenomenon known as “pilotitis,” and scale effective strategies into health systems that have regional or national impacts? And how do you make sure these projects are long-lasting additions, instead of the public health equivalent of a dropped call? We debated the types of policies that would be most likely to encourage innovations that make a positive difference for individuals and populations. How can we avoid creating "digital divides" that could worsen health disparities? Should state and local governments provide direct grants or tax relief to promising startups? Or should the central planners get out of the way and trust free market forces to produce the future of mHealth? This post is being published simultaneously on The Health Policy Exchange. There are undeniable advantages to our new home, including central air conditioning, larger appliances, and energy-efficient windows that don't require covering with plastic when the outside temperature plummets. But it may be a while before I can think of it as home, and overcome my automatic instinct to take the turn that leads to our old house when returning from work. I know in my heart that this move is forward progress, but now it feels more like a dislocation. Our country's health care system is experiencing a similar sort of dislocation, driven not only by the error-plagued implementation of the Affordable Care Act, but trends that have been in motion for decades. Soaring medical technology costs and physician subspecialization have bloated health care spending to nearly one-fifth of the U.S. economy. An employment-based health insurance system that made sense when many people worked for a single company for their entire adult lives is gradually collapsing under its own weight. The ACA's requirement that insurers pay for a minimum set of "essential health benefits" and remove lifetime coverage limits has driven up premiums and shrunk provider networks for millions of people, even as state Medicaid expansions have made millions of others eligible for health insurance for the first time in their adult lives. Based on the number of new patients I'm seeing in my office because "my new insurance plan won't cover visits to my old doctor," I would not be surprised if more Americans end up changing doctors this year than in any year before. But will they then settle comfortably into permanent patient-centered medical homes? Will newly formed alliances of clinicians and hospitals succeed in organizing themselves to provide accountable care that improves population health outcomes? In other words, is this seemingly inexorable movement toward a brave new health system forward progress, or a temporary dislocation? Early in my career, I provided patient care at several community health centers in Washington, DC, and more recently, my wife served as the medical director for two area health centers. In fact, for several years we saw our own family doctor in a community health center. Despite the Supreme Court ruling that made the Affordable Care Act's expansion of Medicaid coverage optional for the states, health centers are expected to continue to play a big role in providing affordable primary care to millions of patients. And one of the many challenges that health centers encounter on a daily basis is how to arrange for patients to see subspecialists for diagnostic or therapeutic interventions (e.g., colonoscopy, surgery, cardiac stress testing) that their clinicians don't offer. In a study published in Health Affairs, Katherine Neuhausen and colleagues asked directors of 20 community health centers in all parts of the U.S. how they addressed this challenge. The authors analyzed their responses to identify six distinct models that health centers use to obtain subspecialty care: Tin Cup, Hospital Partnership, Buy Your Own Subspecialists, Telehealth, Teaching Community, and Integrated System. As one might expect, health center directors who used the Tin Cup (i.e., begging subspecialists for charity care) model were least satisfied with their ability to access subspecialty care, while the most satisfied directors used the Integrated System model, which "features community health centers that are completely integrated with a local government health system or a safety-net hospital that has a comprehensive network of specialists." If a high-functioning community health center can provide its patients with a medical home, then the Integrated System represents the next essential step to meet all of their health care needs: the medical neighborhood. In that neighborhood, it's important to recognize that the exchange of services can and should be a two-way street. Hospitals and large specialty practices have financial and material resources, while community health centers have the experience and know-how to manage care for high-risk patients with chronic conditions (the so-called "hot spotters" in Atul Gawande's widely read New Yorker article) who generate a disproportionate share of health care costs. The state of Maryland has been particularly innovative in encouraging these two types of organizations to combine forces through a matchmaking project whose results were outlined briefly in a JAMA article and further described in an innovations database maintained by Maryland's Department of Health and Mental Hygiene. This post appeared on Common Sense Family Doctor in slightly different form on August 22, 2012. 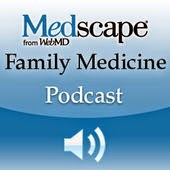 Will Choosing Wisely change the way family physicians practice? I would propose that each specialty society commit itself immediately to appointing a blue-ribbon study panel to report, as soon as possible, that specialty's “Top Five” list. ... The Top Five list would consist of five diagnostic tests or treatments that are very commonly ordered by members of that specialty, that are among the most expensive services provided, and that have been shown by the currently available evidence not to provide any meaningful benefit to at least some major categories of patients for whom they are commonly ordered. In short, the Top Five list would be a prescription for how, within that specialty, the most money could be saved most quickly without depriving any patient of meaningful medical benefit. The American Academy of Orthopaedic Surgeons, for example, named use of an over-the-counter supplement as one of the top practices to question. It similarly listed two small durable-medical-equipment items and a rare, minor procedure (needle lavage for osteoarthritis of the knee). Strikingly, no major procedures — the source of orthopedic surgeons' revenue — appear on the list, though documented wide variation in elective knee replacement and arthroscopy among Medicare beneficiaries suggests that some surgeries might have been appropriate for inclusion. 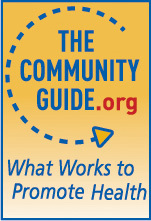 Although patient advocacy groups such as Consumer Reports are also participating in Choosing Wisely, the ultimate success or failure of the campaign will depend on how well physician societies can convince their members to curtail commonly accepted but nonbeneficial services, such as the annual physical examination in healthy adults. Earlier this month, American Family Physician unveiled an online tool that allows readers to search for primary care-relevant recommendations by keyword and topic area. We hope that family physicians and other primary care clinicians will bookmark this tool and use it often to Choose Wisely with their patients.